What do you consider to be the best regulatory framework for Mauritius? In every institution, there are limits that regulate all the individuals within the community. Regulation is the process of promulgation, monitoring and enforcement of rules that is creating a new law to monitor individuals and to ensure that every individual is obedient. If these rules are not enough to regulate individuals, the enforcement of rules is required. Likewise in the financial market, the need of regulatory bodies is required. It can take form of a public authority or government agency but there are also independent regulatory agencies which are not associated with government. Financial regulation is important to maintain integrity in the financial market. If a new financial institution is to be opened, it must abide to certain requirements, restrictions and guidelines. There is no restriction or exemption; all financial institutions whether big or small must follow the same rules. 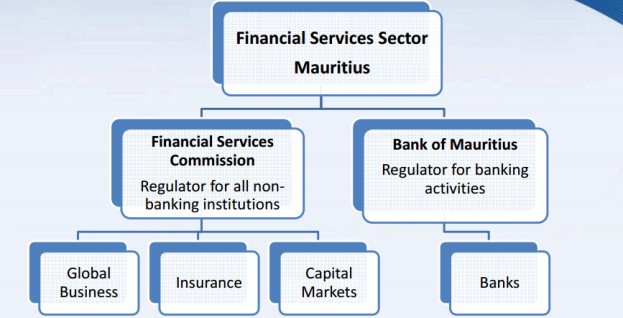 The existing financial structure of Mauritius is a non- unified one. The Financial structure should actually have been a transition one which would have firstly consisted of a Twin Peak Model which would lately have been merged together to form a unified structure. Nonetheless, there is still a regulatory body for the banking sector and another one for the non banking sector. The Bank of Mauritius (BOM) is the authority which has been set up for the regulation of banks. The non banking sectors, on the other hand are under the responsibility of the financial Services Commission (FSC). Both the FSC and BOM follow risk- based supervision approaches and formal strategies to centre their resources on those institutions and practices that include bigger risks. In recent years, the financial markets of Mauritius have undergone growth and have also been successful in weathering the global financial crisis reasonably well. Despite this, due to the emergence of complex financial structures with overlapping activities in different areas of the financial sector, it was perceived that it might prove more efficient to carry out an integrated form of regulation for financial services. Moreover, regardless of past issues and the minor problems that may have occurred with the ministry of finance or government, the regulatory bodies of Mauritius have been doing a rather good job. The Banking sector of Mauritius kept performing well even after the problem that it faced due to the Barclays bank. Mauritiusâ€™s Banking sector was ranked 15th out of 144 in “The Global Competitiveness Report 2012-2013 of the World Economic Forum”.